Six months ago, I put up a story on Byrdie about how I've cut my morning hair routine down to five minutes. A strong affinity for sleep and general lack of patience have rendered a lightning-fast hair regimen necessary, and in the spirit of wanting more sleep and productivity for all, I offered my real-life secrets for making sure your styling routine never gets in the way of your life. I also filmed a Facebook Live video, where I challenged myself to go from bedhead to presentable with a five-minute timer running. In the video, I mentioned that I never wash my hair in the morning, which saves me tons of time—in fact, these days, I generally only wash it once a week. This seemed like a fairly benign statement to me, but viewers had a lot of opinions—especially considering the texture of my hair, which is fine and straight (read: prone to looking greasy). One viewer asked how on Earth I can go a week without shampooing and not have my hair look like an oily nightmare. "You lost me when you said you only wash your hair once per week," another commented. "Nope, not my cup of tea." But other readers were more curious than appalled (and I thank you dearly for that). One asked if I could explain a little more about my weekly haircare routine so that is exactly what I'm doing. Keep scrolling to learn more about why I only wash my hair once a week (and what I use when I do)! First of all, here's why washing my hair once a week is actually not insane: The whole reason so many of us think we have to wash our hair every day is only because we've been brainwashed by America's haircare industry and overall obsession with cleanliness to believe we need to. Literally, anyone can go a week between washes and have their hair look societally acceptable. You just have to train yourself to do it. "I suggest waiting as long as you can in between washes (I like to go four days)," says my go-to hairstylist in L.A., Melissa Hoyle from Spoke & Weal salon. The reason? 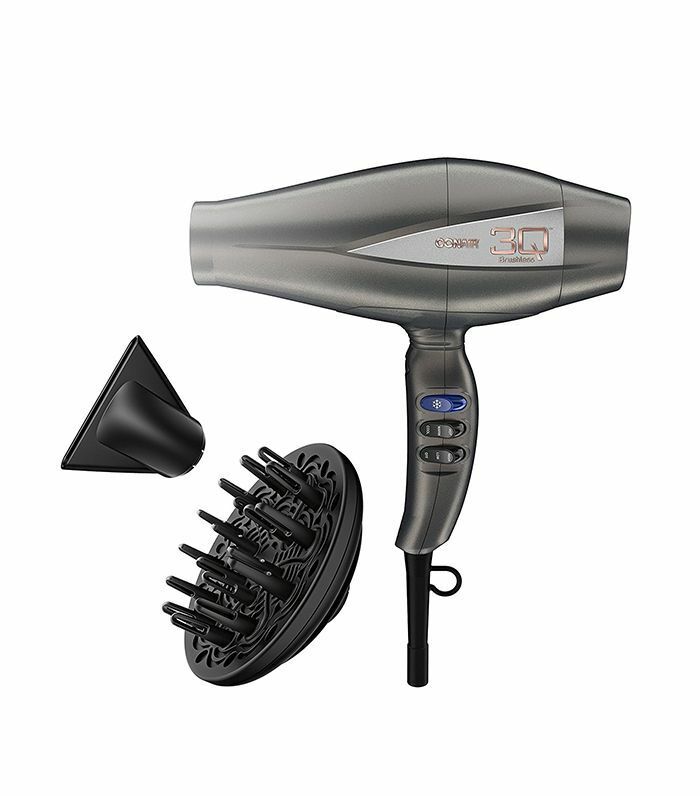 Shampooing your hair more often than you need to messes with the chemistry of your scalp. As Hoyle says, "When you shampoo daily, you strip your scalp and hair of the oil you naturally produce, and over time, this can cause your sebaceous glands to start producing more oil to compensate. In time, you start to think you need to shampoo more often, but without your natural oil, the hair actually just gets drier and drier." In some cases, the benefits of fewer washes might actually go beyond saving time: "I have found with certain clients of mine that by letting their natural oils come out that it helps to grow their hair," says Halli Bivona of New York City's John Barrett Salon. I may only wash my hair once (sometimes twice), but when I do, it's a production. 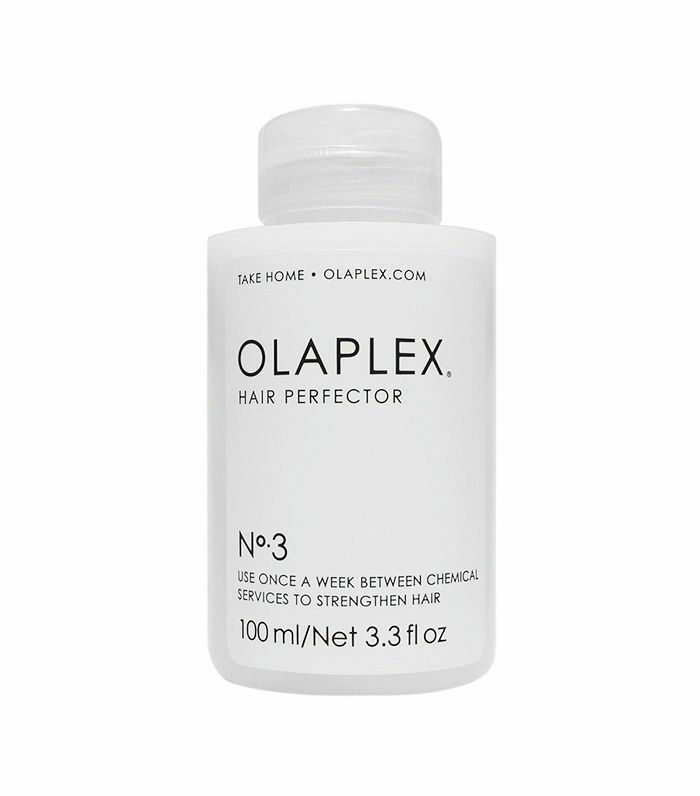 Because my hair has been bleached into oblivion (that blonde life is such a killer), I start out by treating it with Olaplex No. 3. Martine Robertson, director of education at Olaplex, calls this "the ultimate mini treatment," as it works to make color-damaged hair stronger, healthier, and shinier from the inside out. My delightful colorist, Matt Rez at Meche Salon in Beverly Hills, introduced me to this stuff, and since I started using it between salon visits, stylists always comment on how healthy my hair seems (especially considering how unnaturally blonde it is). I apply a dollop of Olaplex to wet hair before shampooing. Then, I pop on a shower cap (I use a cute yellow one from Drybar) and leave it on between 30 minutes and all day if I don't have to leave the house. When I'm ready, I rinse it out and move onto shampoo. Not gonna lie: After a week without washing, there is definitely buildup in my hair, so I shampoo it in a very specific way to make sure it's ultra-clean. 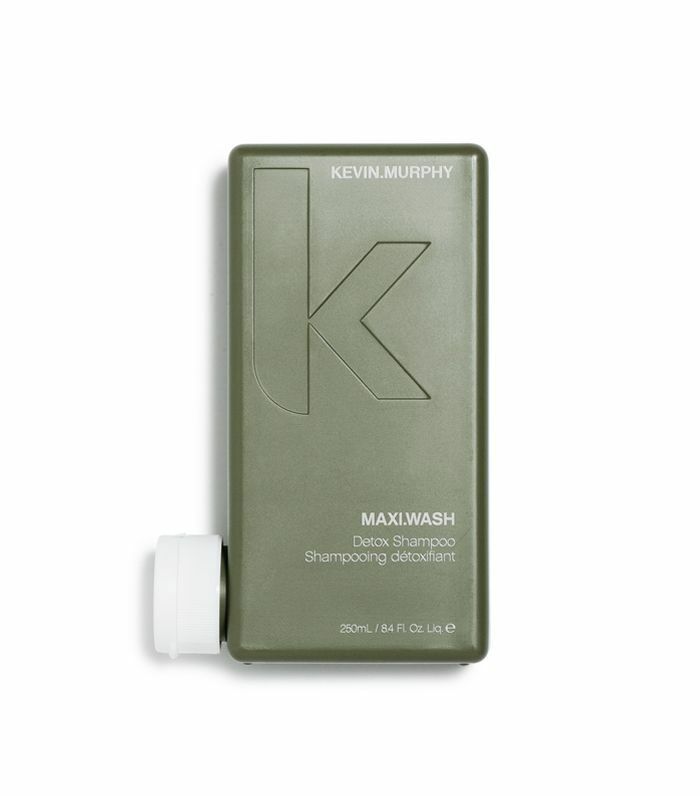 First, I start out with a purifying shampoo from Kevin Murphy, which makes any leftover dry shampoo, oil, or grime disappear. To make sure I'm cleansing thoroughly, I try to shampoo my head with the technique of a stylist. "The best way to shampoo to remove buildup is to place your fingertips against your scalp and massage your scalp in circles all over your head," says Bivona. This step is key if you want to go a whole week without washing your hair. After shampooing with the Maxi.Wash, I follow up with a second shampoo. "Rinse and repeat" may sound like outdated advice, as L.A. hairstylist Sal Salcedo told us last year, shampooing twice gets your hair so much cleaner that you can go longer between washes. "Shampooing your hair twice is beneficial because it allows for proper cleansing, giving you longer periods of time with a clean scalp and keeping away the 'oily hair' problem. It also keeps you away from over-shampooing your hair, which is a mistake that most women make. … It's about washing your hair right so that you can go longer periods of time without shampooing," he says. 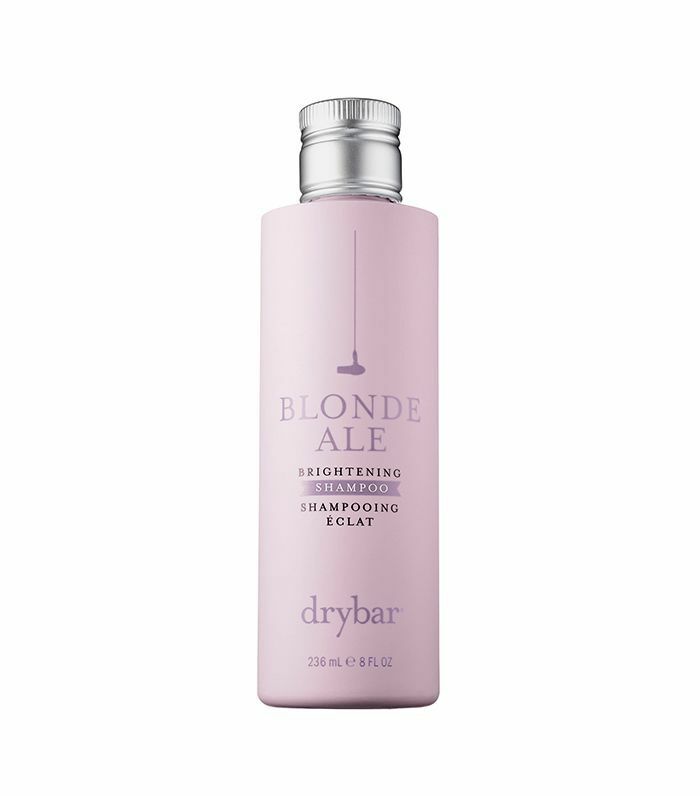 For my second wash, I use a Drybar purple shampoo, which also works to combat any brassiness in my blonde. After my second shampoo, I wring out the excess water out of my hair and follow up with a mask to restore moisture to my strands. Per Hoyle's advice, I concentrate the product from mid-shaft to ends. I never apply it to my roots—that causes your hair to look greasy almost instantly. 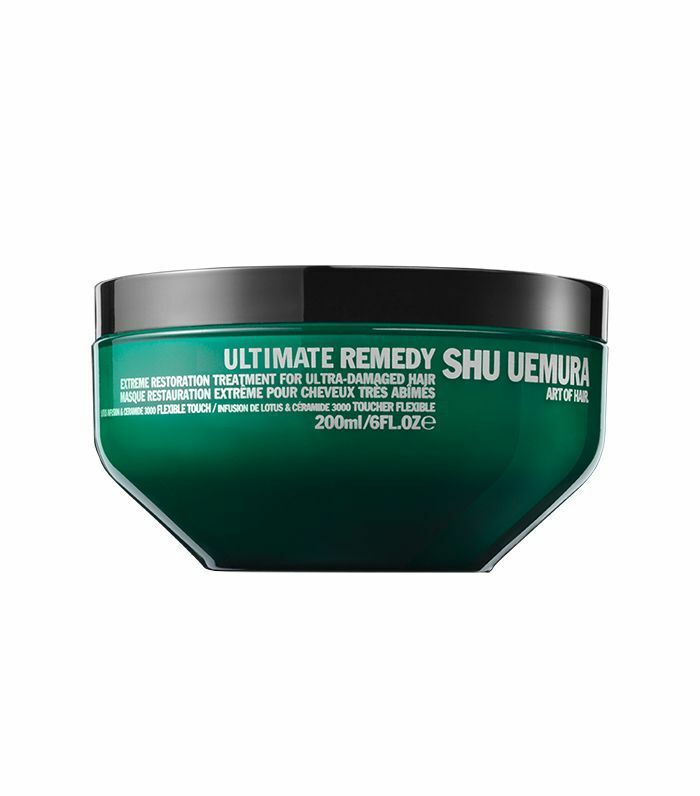 My all-time favorite mask is another recommendation from my colorist, Matt Rez, who is "obsessed with Shu Uemura hair masks." I rave about the brand's Ultimate Remedy hair mask like they're paying me to do it (they're not, but if they'd like to start, I'm wide open). I leave the product in for 15 minutes or more (I often stick that shower cap back on and do a few things around the house as it sinks in), and my hair is all the healthier and shinier for it. After rinsing out my mask, the odyssey of my haircare routine is essentially complete. I squeeze the excess water out of my hair, step out of the shower, and sometimes I apply a brightening cream or volumizer if I feel like it. (But never an oil—again, that's a recupe for grease.) 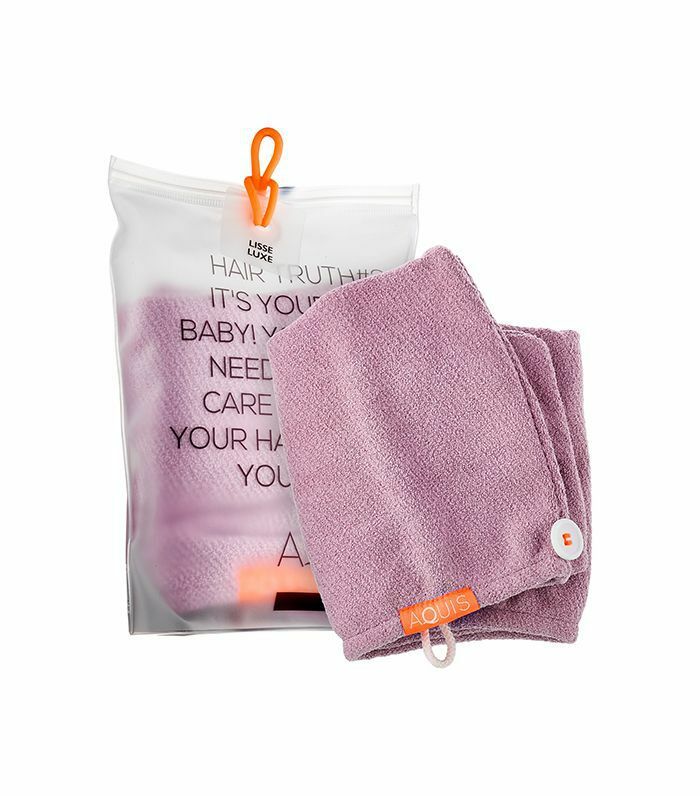 Then, I wrap my hair up in a microfiber towel, which allows it to dry frizz-free. I don't enjoy blow-drying my hair (and I also don't know how to do it right), but after letting my hair air dry for a few minutes, I've started blow-drying it straight with a paddle brush because I find it ends up a lot shinier that way. Conair's brushless hair dryer is amazing—it's nowhere near as expensive as many professional dryers, but it turns my hair perfectly dry and luminous in five minutes (ten minutes when it was long). By the end, my routine may have taken a few hours, but I get to go a whole week without worrying about it. Which is totally worth the effort to me. Leave any questions you have about my routine in the comments below!